1. When deciding where to place the dumpster, be sure to leave plenty of space around it—the dumpster has a back gate that will swing open for easier access (see FAQ page “Will a dumpster from Affordable Roll-Offs fit in my driveway?” for the appropriate measurements). You might also want to leave some space near the dumpster for separating trash prior to loading (see Tip #7, below) and for a place to disassemble large pieces (see Tip #6, below). 2. If the dumpster is to be placed on the ground instead of on a driveway, make sure that the ground is dry. Also, before the dumpster is delivered, place enough plywood or other material on the ground to cover the area where the dumpster will sit, to make a barrier between the dumpster and the soil. This barrier will help spread the weight of the dumpster and the load, and will help keep the dumpster from sinking into the soil. 3. Make a ramp into the dumpster out of wood, plywood, or other suitable material for easier access. This is especially useful if you will be using a wheelbarrow or dolly to transport trash into the dumpster. 4. Review the list of materials that are acceptable for dumping (see FAQ page “What can’t I put into the dumpster?“). If you plan to allow friends and neighbors to use your dumpster, keep in mind that the person who ordered the dumpster remains responsible for its contents. 5. Wear safety equipment—flipflops and dumpsters don’t mix. Protect yourself by wearing sturdy boots, long pants, gloves, and goggles. 6. Flatten cardboard and break down other items of trash—disassemble swing sets, dressers, and other large items so that they will take up less space. 7. Start loading the dumpster at the far (closed) end and work your way back to the gate end. That way, you don’t end up having to climb over stuff that you have already loaded. Before beginning to load the dumpster, organize items of trash so that you can load a few large pieces as far forward as possible, then fill in any empty spaces with smaller items. Continue in this manner, working on one or two feet at a time, until you have loaded the dumpster all the way to the gate end. DO NOT use this method if you have a lot of heavy materials to load. For loading heavy materials, please see Tip #8, below. 8. Large amounts of rock, gravel, steel, or other heavy items should be spread over the entire bed of the dumpster before anything else is loaded (see FAQ page “Can I put heavy materials in the dumpster (e.g. rock, dirt, brick, sod, or concrete)?“). DON’T load these materials entirely in the front or the back of the dumpster. That will lead to an unbalanced load, and an unbalanced load is an unsafe load. 9. Save a few items to weight down any light items that may end up on the top of the load so that the light items won’t blow out of the dumpster when it is traveling at speed. 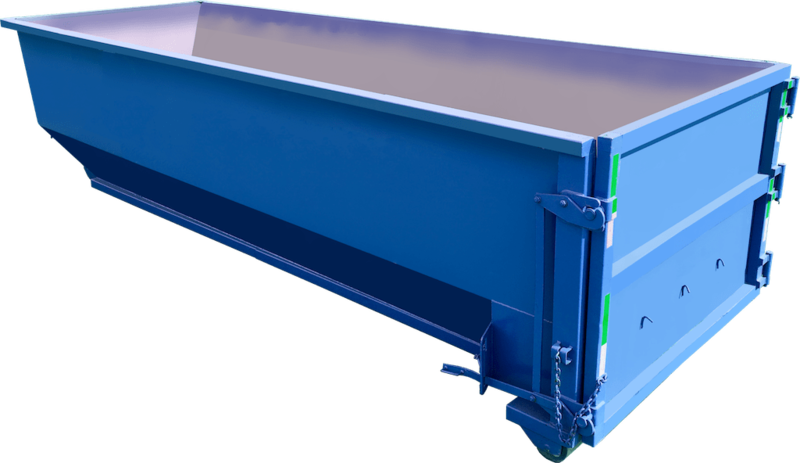 DON’T OVERFILL the dumpster—all trash should be below the level of the top rail (see FAQ page “How high can I load the dumpster?“). 10. And, as always, BE SAFE! If you have rented the dumpster for overnight or longer, be sure to securely latch the gate when you are done working each day to keep critters and curious children out of the dumpster. Once the dumpster has been picked up, clean up the yard and any areas where trash may have been placed. Check for stray nails, screws, and other items that don’t belong. When you’re all done, wave good-bye to our friendly driver and celebrate the successful end of a major project! 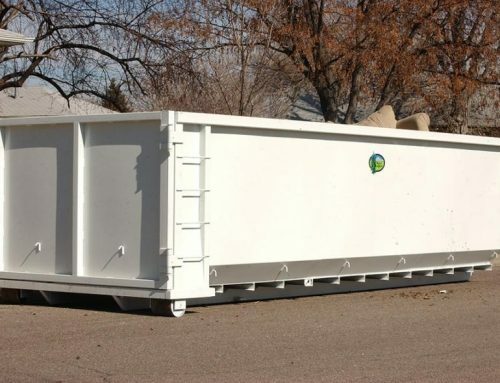 For further information, or to order a dumpster, please call (303) 339-0293 or email us at Sales@affordablerolloffs.com. Our experienced staff will be happy to answer any questions you may have.